Central's commitment to hands-on learning and discovery and individual attention takes students beyond the limits of the classroom and books. Students get to do what they're studying in real-world, professional settings, which makes learning exciting and relevant. Each year CWU graduates thousands of well-educated citizens who are ready for high-demand careers in the workforce: construction management, accounting, engineering technology, teacher education, wine business, paramedicine, aviation, and more. 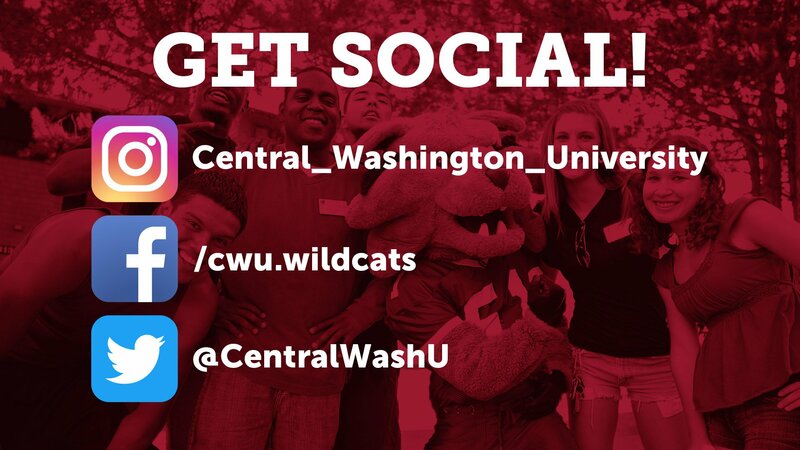 CWU prepares students to succeed in a global economy through strong partnerships with 30 colleges and universities around the world. Last year we welcomed more than 400 students from 36 countries to our campus. Central Washington University Alum, General James Mattis, giving the Commencement 2011 speech. The CWU Veterans Center was proud to host a celebration of graduating veterans and Salute Honor Society inductees on May 9, 2017. Students at the event were encouraged and honored by a keynote speech from renowned journalist, author and filmmaker Sebastian Junger. Army veteran and former NFL player Daniel Rodriguez speaks to the wildcat football team about his life experiences. Rodriguez is a motivational speaker and was invited to speak with veterans and alumni at Central Washington University.